It is a small tree, growing 4–6 m (13–20 feet) tall, with a trunk up to 40 cm (16 in) diameter. The leaves are pinnate, with 11-21 leaflets, each leaflet 2–4 cm (0.79–1.57 in) long and 1–2 cm (0.39–0.79 in) broad. They are highly aromatic.The flowers are small, white, and fragrant. The small black shiny berries are edible. The leaves are highly valued as seasoning in southern and west-coast Indian cooking, and Sri Lankan cooking, especially in curries, usually fried along with the chopped onion in the first stage of the preparation. They are also used to make thoran, vada, rasam and kadhi. In their fresh form, they have a short life & do not keep well in the refrigerator. They are also available dried, though the aroma is largely inferior.In the absence of tulsi leaves, curry leaves are used for rituals and pujas. 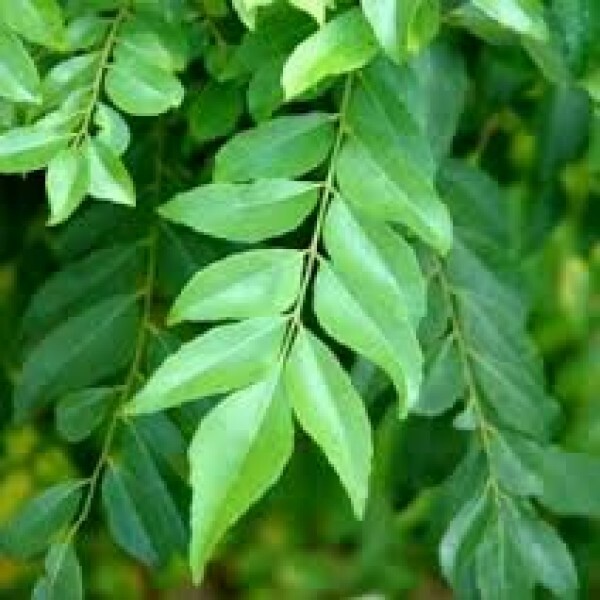 1 kg fresh and good quality curry leaf seeds. Also called sweet neam seeds, mitha neem, kadi patta seeds, curry leaves seed.